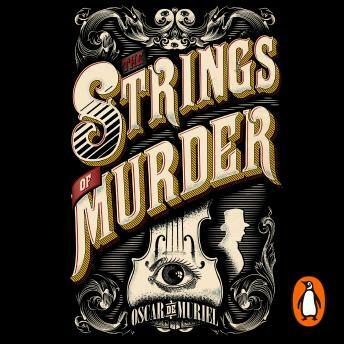 Penguin presents the unabridged, downloadable, audiobook edition of The Strings of Murder by Oscar de Muriel, read by Andy Secombe, including musical interludes recorded by the author himself. Edinburgh, 1888. A virtuoso violinist is brutally killed in his home. But with no way in or out of the locked practice room, the murder makes no sense. Fearing a national panic over a copycat Ripper, Scotland Yard sends Inspector Ian Frey to investigate under the cover of a fake department specializing in the occult. However, Frey's new boss, Detective 'Nine-Nails' McGray, actually believes in such nonsense.